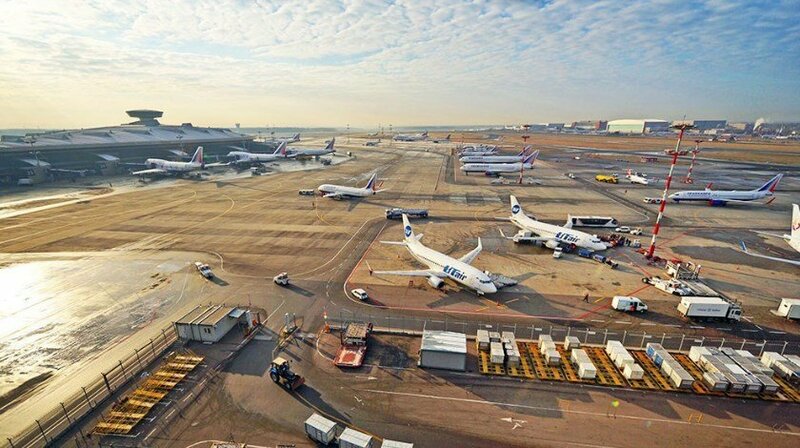 The number of passengers served by Moscow’s Domodedovo, Sheremetyevo, and Vnukovo airports increased by 16.4% year-on-year to 6.071 million, the Federal Air Transport Agency (FATA) reports. To compare, the February growth across the three airports stood at 15.4%. Vnukovo saw its passenger traffic decline year-on-year in March; the Sheremetyevo figures remained unchanged, while Domodedovo built up its passenger traffic. Vnukovo remained the fastest growing airport serving Moscow in March, with its passenger traffic skyrocketing 38.3% to 1.136 million. The airport’s February traffic growth was 46% year-on-year. International traffic decreased in absolute terms but was growing more dynamically: Vnukovo served 292,000 international passengers, or 75.6% up year-on-year. Domestic traffic grew by 28.9% to 844,000 passengers. Vnukovo representatives explain the international traffic growth by the flight schedule expansion of Rossiya Airlines, UTair Aviation, and Azerbaijani carrier AZAL, all of which use the airport. Domestic traffic grew in may thanks to the launch of new flights by Rossiya and LCC Pobeda Airlines. Sheremetyevo’s passenger traffic grew by 15.9% in March. FATA reports 2.857 million passenger served, but the airport itself says it processed 2.882 million passengers. The February growth rate stood at 15.4%. Sheremetyevo reports having served 1.558 million passengers internationally (+16.7%) and 1.324 million domestically (+15%) in March. The traffic growth was provided by Aeroflot, Nordwind Airlines, Pegas Fly (formerly Ikar), Royal Flight (all of the above are Russian carriers), and also by China Southern Airlines, Czech travel service SmartWings, and Latvia’s airBaltic. Domodedovo remains Moscow’s slowest growing airport in terms of traffic: it served 2.078 million passengers in March, or 7.8% up year-on-year. This, however is a significantly better result than the February level, when Domodedovo’s traffic grew just 3.4% year-on-year. The airport does not report its international/domestic traffic breakdown. The March and Q1 traffic results make Sheremetyevo, Domodedovo, and Vnukovo Russia’s Nos 1, 2, and 3 biggest airports, respectively. St. Petersburg’s Pulkovo comes fourth: the airport’s operator Northern Capital Gateway reports that 1.019 million passengers were served in March, or 23.1% up year-on-year.